The pill doesn't make you gain weight? The idea goes completely against what pretty much every woman in the world believes, myself included - until today. It turns out scientists have studied - like really studied in clinical trials - the association between the pill and weight gain and have found no evidence to support the idea. In fact, a 1997 study found that women on the pill had a 5 percent higher metabolism than women who never took oral contraceptives. Another 2008 study found an association with reduced body fat and yet another study in 2010 found women on the pill gained a pound less than those risking pregnancy. "Over the past half century, an elaborate mythology about these ill effects has evolved, fueled by rumor, gossip and poor-quality research," writes David Grimes in a study published recently in the journal Contraception. So where does all this mythology come from? Why, from the very makers of birth control pills! Labels on pill packets say that the drug might cause weight gain. But they have no actual evidence that's true. 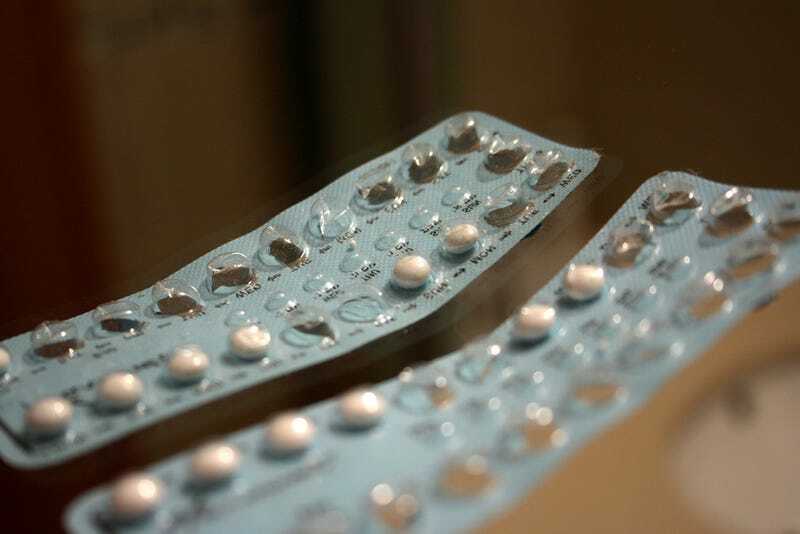 Some women in clinical trials have said they've gained weight while on the pill, but no study (see above) has ever found oral contraception to be the cause added pounds. Why would pill-makers mislead women like that? So if they ever get sued they can say they'd provided fair warning. And thanks to pill manufacturers' fear of litigation, many women are risking pregnancy because they're afraid of getting fat. Ironically, as Grimes points out, getting pregnant is one of the most reliable ways to gain weight.